Hatfield & McCoy Christmas Disaster! Stay at the beautiful Shular Inn this Holiday Season, and join Pa Hatfield and Ma McCoy as they try to set aside their differences in the spirit of the Season. Watch as they bring their two famous feudin’ families together for a night of food and entertainment guaranteed to make you feel better about spending the holidays with your in-laws! 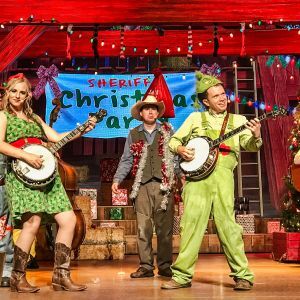 Whether you’re city-folk or country cuzins, you’ll love the holiday singing and dancing, mighty feats of strength, jaw dropping stunts and side-splitting comedy. There’s something here for everybody! And Granny’s pulling out all the stops for the holiday dinner! She’s cookin’ up a heap of fried chicken and country pulled pork shoulder barbecue! Add smashed taters, creamy cole slaw, corn on the cob, rolls, creamy vegetable soup and Granny’s special dessert and you’ll need to loosen up your belt! It’s the best dinner in town – Granny guarantees it! Happy Holidays!! Valid for November and December 2018. 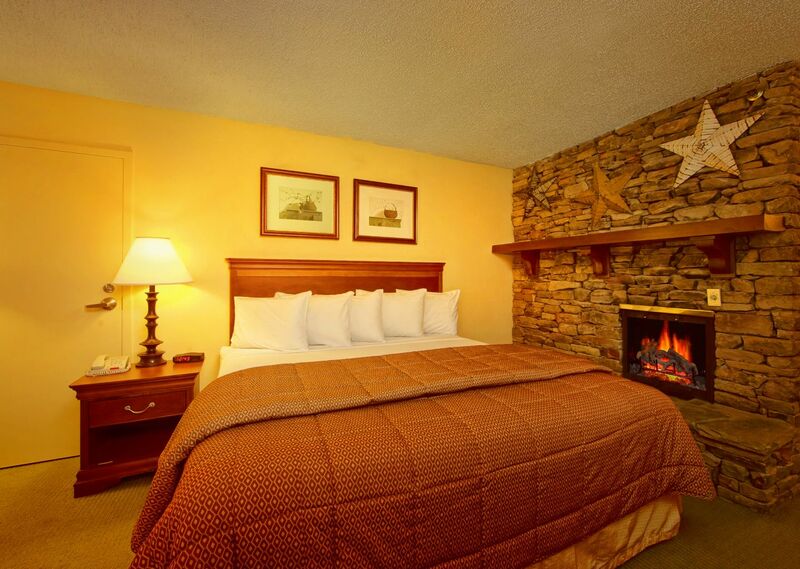 Simply book your stay at the Quality Inn, and then call 865-286-0545 to purchase your discounted tickets to the Hatfield & McCoy Christmas Disaster Show!